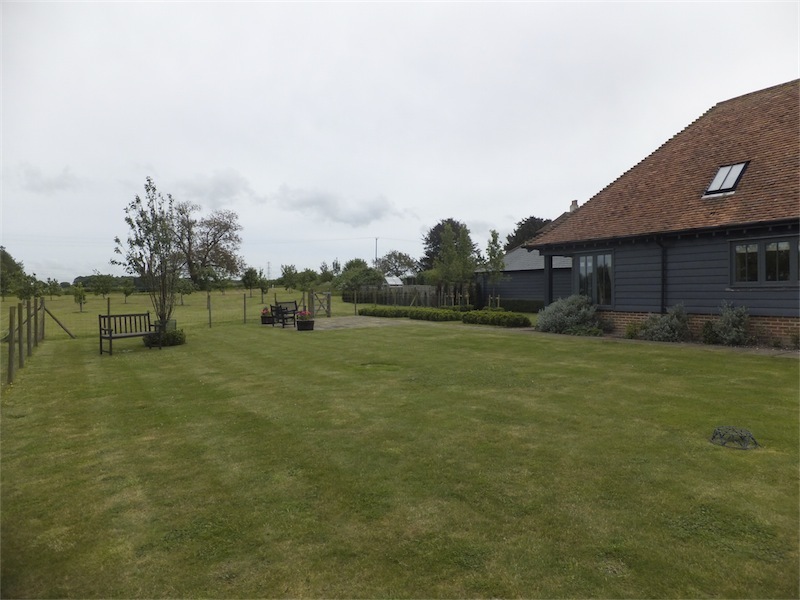 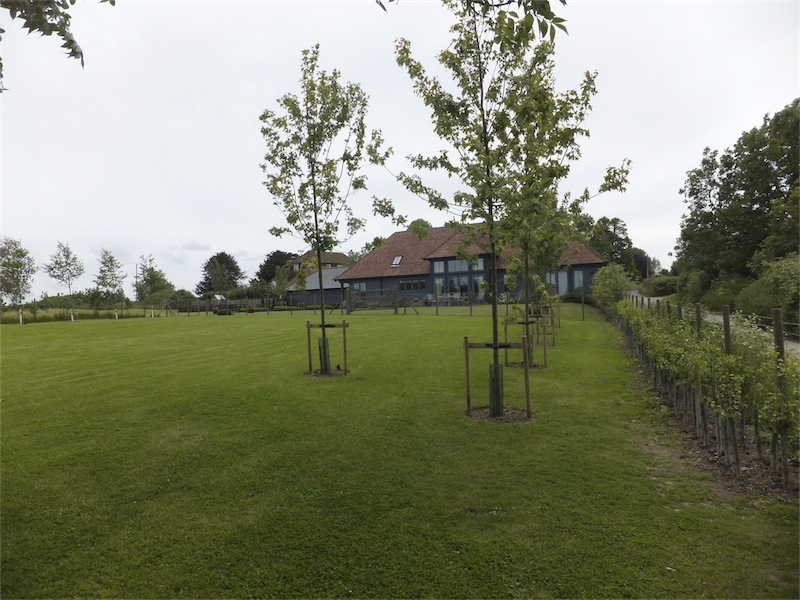 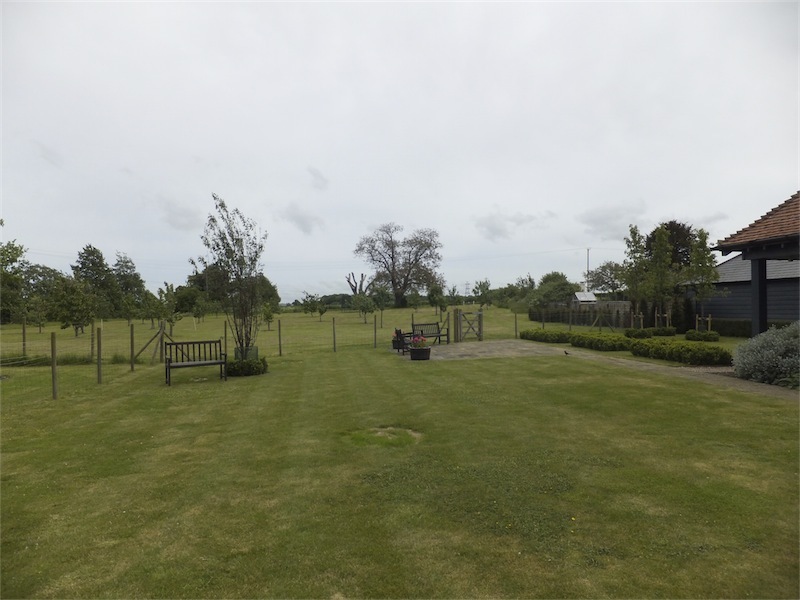 The client wanted to screen the view of farm buildings while creating a parkland effect with ornamental trees providing seasonal interest. 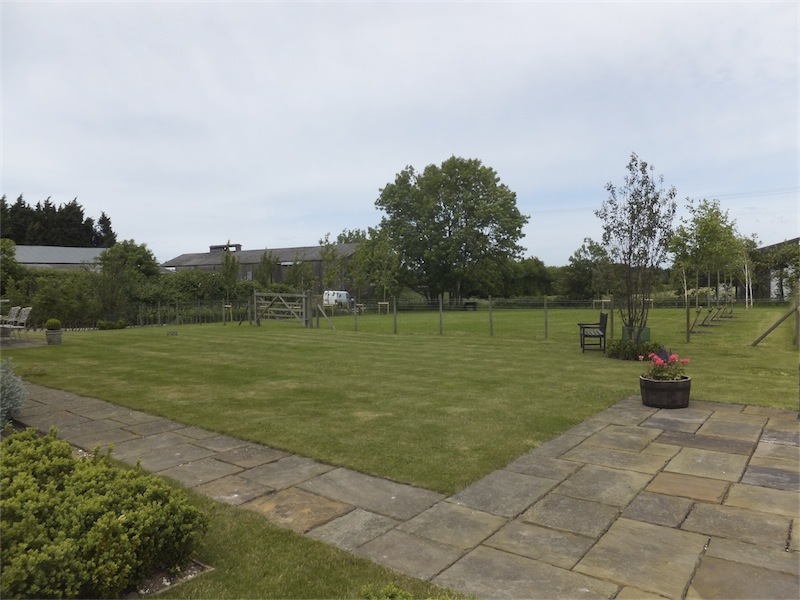 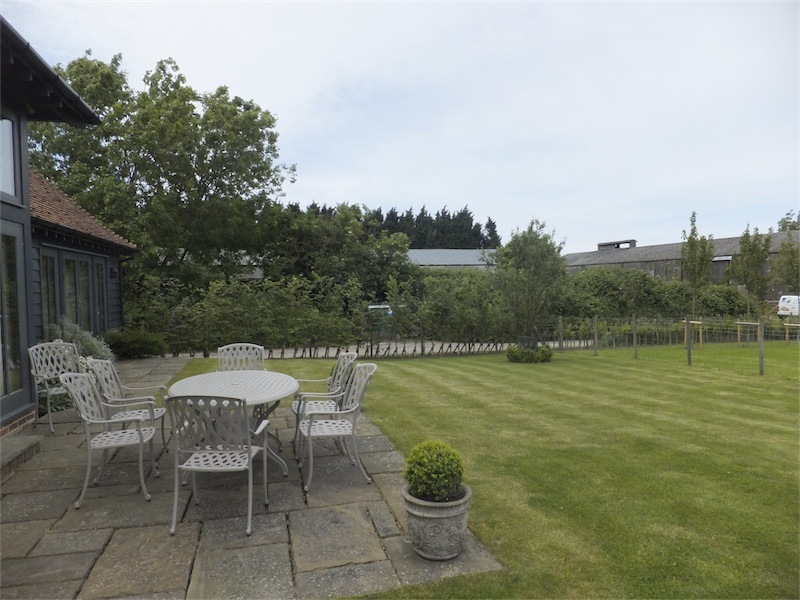 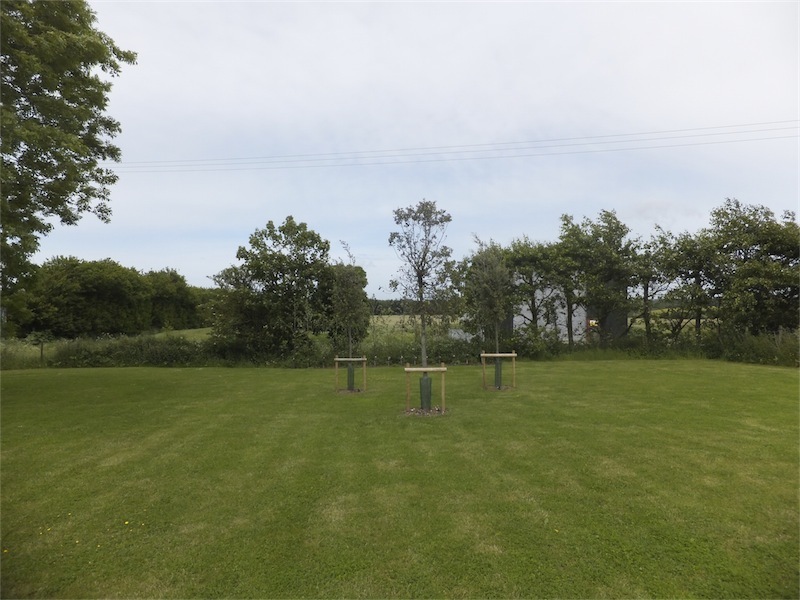 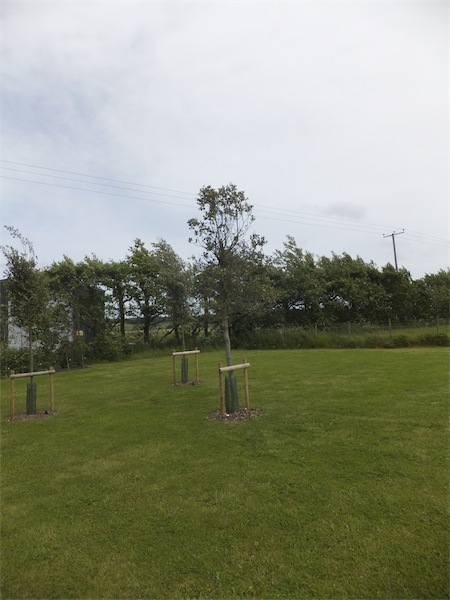 The garden was planted December 2012 and even though the semi-mature trees are still to fully develop, they have already given a season of pleasure to the client and certainly made an impact on the landscape. 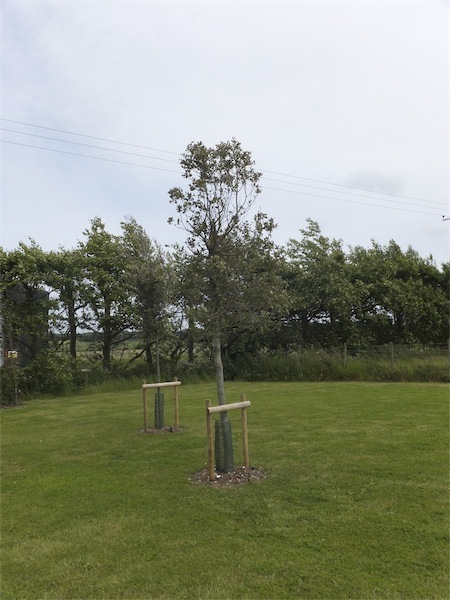 Some the species used are Acer x freemanii ‘Autumn Blaze’, Pyrus calleryana Chanticleer, Betula utilis Jacquemontii, Crataegus x prunifolia ‘Splendens’, Quercus ilex and the multi-stemmed Tibetan Cherry Prunus serrula. 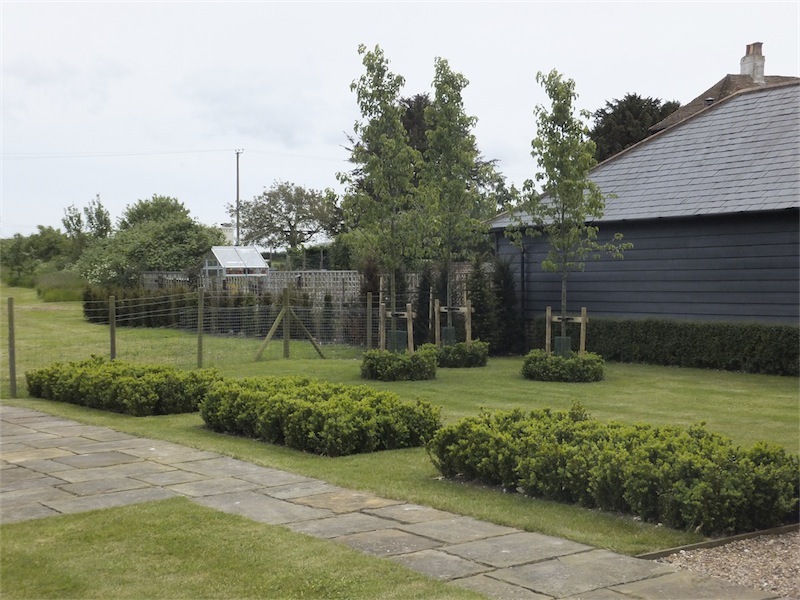 Flat rectangles of box hedging created a structural element to the garden as well as hiding a manhole cover in the lawn. 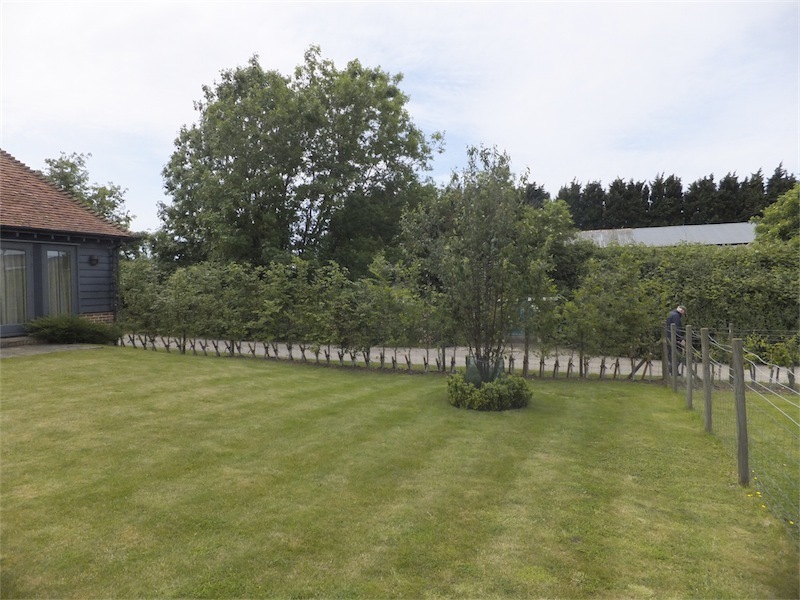 Native hedging was planted along some of the boundaries and Yew hedging provided some screening from the neighbours.